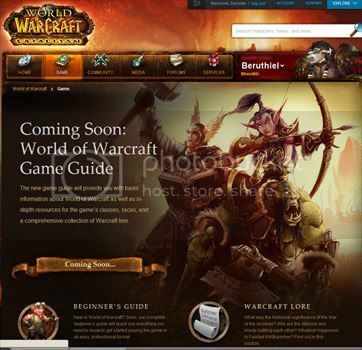 It seems that Deathwing will not be the only thing bringing changes to Azeroth as we know it, something new and exciting seems to be afoot over on the new WoW community site including the introduction of the new battle.net based forums! 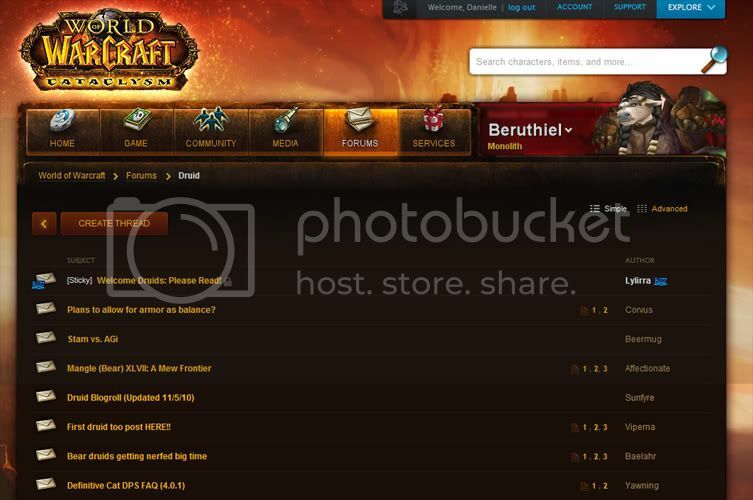 My name is Beruthiel and I’m here today to give you a little bit of a primer on how to navigate the new forums. 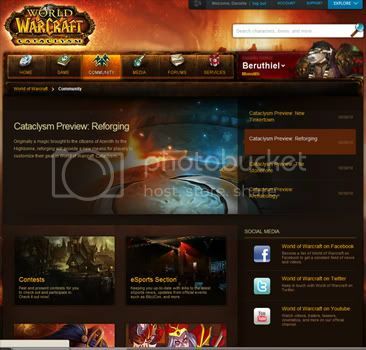 While you are trying to find your way around this uncharted territory please take note that there are several new and exciting areas that are still under construction – including the migration of your realm forums over to the new battle.net system. 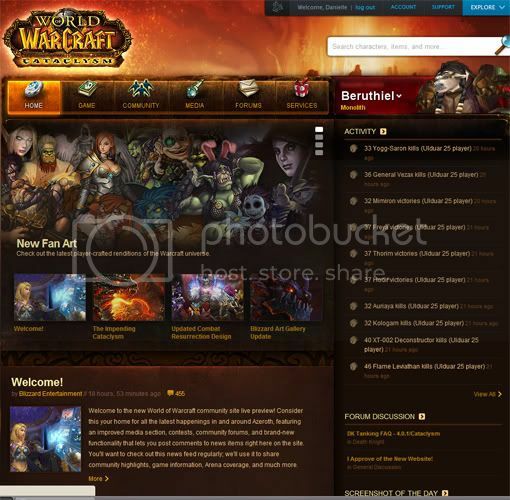 Before we get into the nitty gritty of exploring the changes these new forums bring us, I did want to encourage you all to take a few minutes to explore some of the new non-forum related features that the new WoW section on battle.net has for the community! You will find things like the game guide (still under development) and the community section where you will find things like fan art, contests and screenshots! Did you go and check them out? No?!?! Go on, go take a look. I’ll wait. Alright, back? Pretty cool, huh? I thought so too! 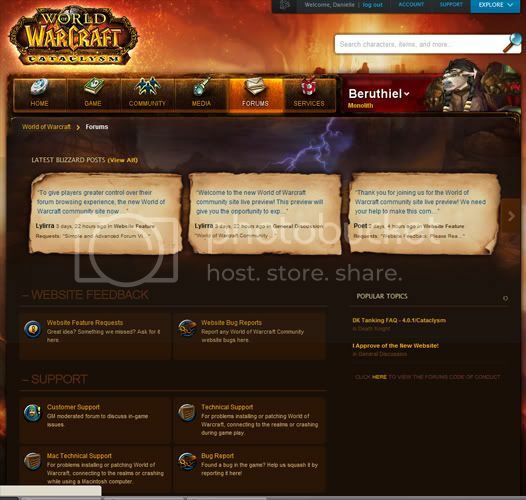 Navigating the New Forums In addition to a lot of the very cool new things that Blizzard added, the also upgraded the forums to do a lot of pretty neat new things. A lot of your forum navigation will look the same, but some of it will be a bit different! Let’s take a peek at what they can do now, shall we? 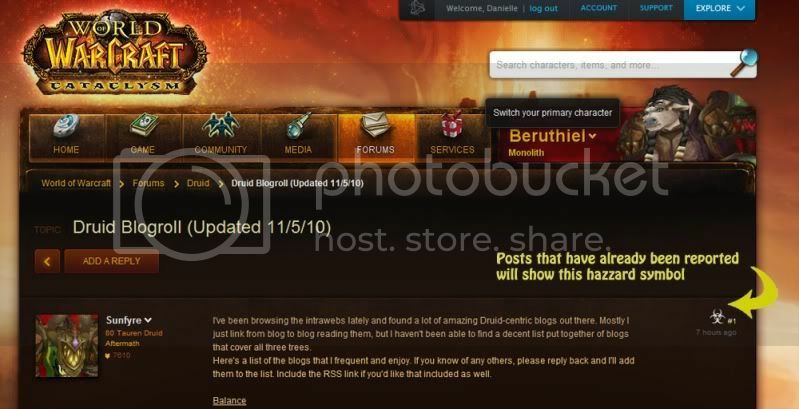 Because I’m partial to druids, I’m going to explore in the new druid class forums. Once you’ve chosen what forum you want to visit, you will find that the main page of that forum will largely look the same, only a bit more graphic! It will lists posts and their authors, as well as how many pages are in the post just like they have always done. You can get a summary of the first paragraph of the posts by simply mousing over the post title in the forums. If you’d like to make a post, you will find that entering information is much the same. You will still have the option to enter quotes, lists, bold and italic characters as well as quotes. Once you’ve entered everything that you’d like to add to your post, you will use the “submit” button to publish it, much the same way you did on the old forums. Once a post has been published, you now have a new ability! You, the reader, can upgrade posts that you find helpful by using the thumbs up button found in the top right corner of the post. Conversely, you can downgrade posts that you found derogatory or unhelpful by downgrading those posts with the thumbs down button. If you find a post that you’d like to report for spam or trolling, or that you feel doesn’t really promote the community that the forums are trying to develop, you can report that post by selecting the triangle next to the thumbs down icon. 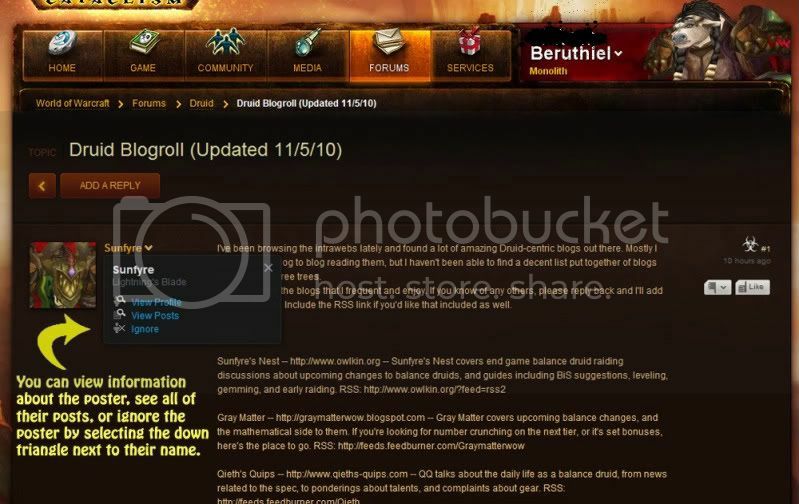 You can use this same reporting method to request a forum moderator “sticky” a particularly helpful forum post, such as a class or leveling guide. Once a post has been reported, for any reason, it will be indicated by a silver bio-hazard looking symbol in the top right hand corner of the post. You can find out information about the poster by selecting the down triangle next to the posters name. This is also where you will find the option to view all posts by that poster or opt to ignore all posts by that poster. You may not always want to post on the character that is listed on the top of the screen. That’s fine! We’ve got a really cool new interface for managing the characters that we want to represent us in our post. Simply select the down triangle next to your name to bring up the interface. Here you will have the option to select which character you’d like to use for posting and an option to manage your characters. Note as well that this interface also provides a really fantastic option to search for your posts! Gone are the days of digging through post after post looking for something that you said two months ago! 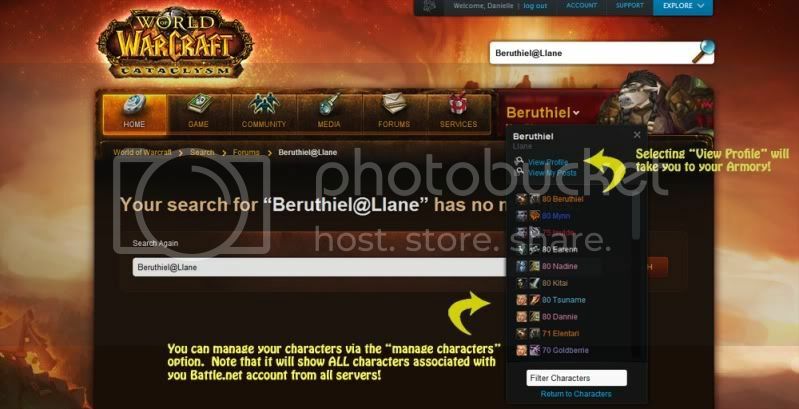 Upon expanding the “Manage Characters” selection, you will find all of the characters that are associated with your battle.net account, regardless of what server they are on. From there you are able to manage more than just the handful of characters that are currently being listed. In addition, you will notice that you have a new option to “view” your “profile”. 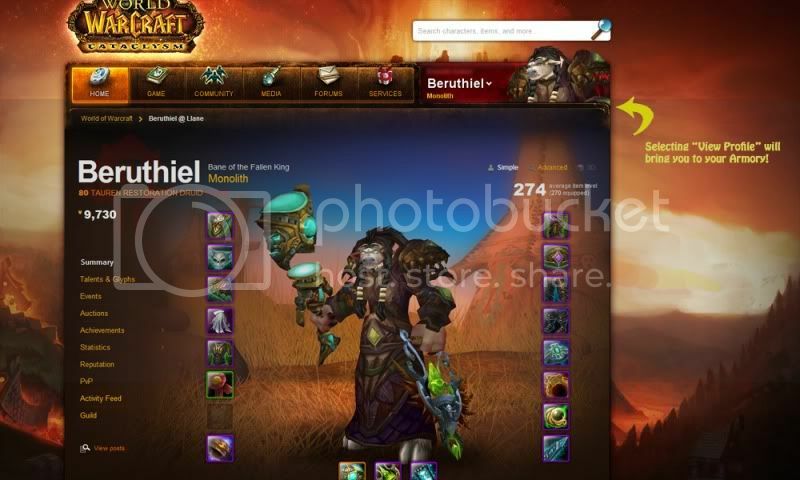 This will conveniently take you to your armory page (which has also been updated!). Overall, I think that these are fantastic improvements for the WoW Community. I think that Blizzard is making a huge effort here to create a stronger community*, and the new tools that they have given us to do that are just amazing. I can’t encourage you enough to go and visit the new forums and community sites, I promise that you will find at least one thing there that tickles your fancy. Go on! Take a look! *note that even if you were previously banned from the forums, your posting privileges have been reinstated, but the mods to ask that you behave! It’s “uncharted territory.” “Unchartered” implies it has not been approved by some sort of regulatory body, or a government.